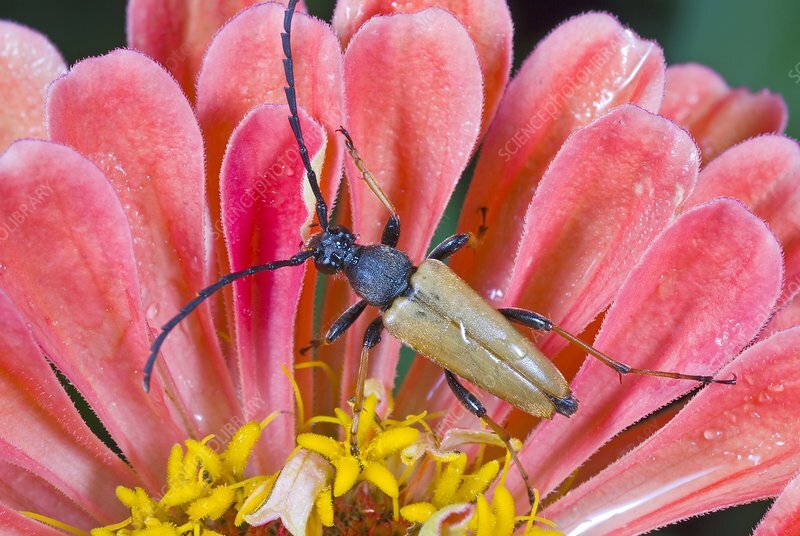 Longhorn beetle on a flower. This species of longhorn beetle (family Cerambycidae) is found throughout mainland Europe. Photographed in Poland.